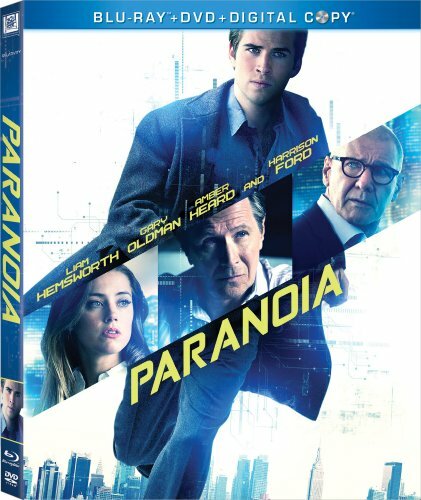 OSCARr NOMINEES Harrison Ford (42) and Gary Oldman* (The Dark Knight) star with Liam Hemsworth (The Hunger Games) in this high-stakes espionage thriller based on Joseph Finder's New York Times best seller. Fired from his telecom job, Adam Cassidy (Hemsworth) is forced by company CEO Nicolas Wyatt (Oldman) to infiltrate Wyatt's longtime rival's (Ford) company to steal trade secrets. Soon, Adam realizes that he's caught between two ruthless players who will stop at nothing to win. But, desperate to win over an Ivy League beauty (Amber Heard) and help his blue-collar father, Adam risks everything in a dangerous race against time in this electrifying film directed by Robert Luketic.